11.3?? Nambucca Shire Traffic Committee Meeting Minutes - 3 July 2013.............................................................................. 183 ??? The Division of Local Government has requested that a circular advising of the commencement of the Local Government Amendment (Early Intervention) Act 2013 be brought to the attention of councillors and council staff. The legislation commenced on 25 June 2013 and puts in place a new approach for addressing dysfunction and poor performance in councils. ?? A stronger power to gather information from councils to identify dysfunction.? This power may also be exercised by the Chief Executive, Local Government. The Act also contains other changes designed to enhance the existing powers of investigation and public inquiry. It is understood that the intention of the legislation is to provide the opportunity for an early circuit breaker to deal with Councils which are, for whatever reason, dysfunctional or have other serious issues concerning their operations.? Previously the only redress was for the Minister to require an Inquiry which invariably led to the sacking of the Council.? This was an expensive process which in many cases denied the community having an elected Council for many years. There are no resourcing implications. The RMS has confirmed previous advice that support for the restoration of the road will depend on a commitment from Council to spend millions of $ on ?betterment? work. 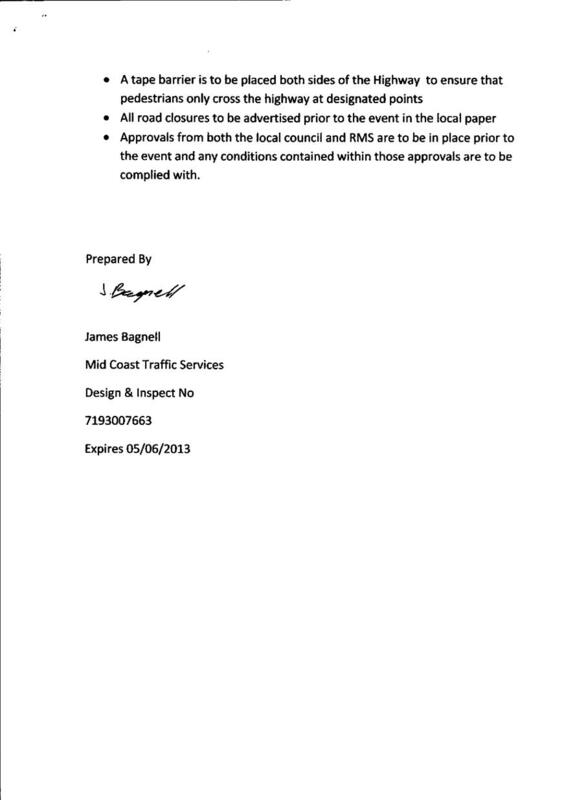 The letter from the RMS dated 1 July 2013 concerning the Bowraville to Bellingen Road be received. Council has made numerous representations to the RMS and the Minister over several years in relation to the reinstatement of the road.? It is not proposed to continue with those representations. In March 2013 Council wrote to the RMS concerning the Bowraville to Bellingen Road and requested that they further investigate the cost of the restoration of the southern section based on the lower than anticipated tender price received for the northern section restoration and the fact that the road was a classified regional road up until 5 June 2009. By way of background, the RMS in a letter of 21 August 2012 referred to a March 2011 announcement that $10 million would be provided towards the repair and restoration of the damaged northern section of the Bowraville to Bellingen Road. Early this year, Bellingen Shire Council accepted a tender for the restoration of the northern section of the road for the sum of $2.99 million.? This compared with the original indicative costs for the northern section of $5.9 million with a 30% contingency.? Given the very favourable outcome of the tender for the construction of the northern section, it is reasonable to question whether the $16 million estimated for the southern section is in fact an over estimate.? If, for example, a tender for the southern section came in at half that original cost estimate (as the northern section did) the whole road could be reinstated for $11 million, not the $22 million originally estimated.? And the RMS has already made provision for an expenditure of $10 million. It should also be noted that up until 5 June 2009, the road was classified as a regional road for which the then Roads and Traffic Authority (RTA) had responsibility to provide funding assistance to Council.? The natural disasters which damaged the road occurred in February and March 2009 and as such the RTA is equally liable for the betterment they now seek to impose on Council. The RMS has now responded to Council?s letter.? Both Council?s letter and the RMS response are attached. ????? Road shoulders in locations prone to scour would need to be ?armoured? The cost of these ?betterment? works will likely exceed the cost of reinstating the road.? Council has not got the financial means to fund this ?betterment? work. GHD who prepared alternative options for the Bellingen Road for a Value Management Workshop believed there needed to be substantial expenditure on soil erosion and sediment control even if no road was put back.? This work has not been done. The social implications of a permanent road closure have been previously reported on. The economic implications of the closure of the road have been previously reported.? It was a popular and attractive tourist route and was also used by local traffic wishing to move between the Bellingen and Nambucca Valleys for work and other reasons. There are no new risks. There is no significant impact on council staff or resources.? In effect the community has been told it will need to live with a diminished level of service because of the lack of funding to replace the road. Reference is made to your letter of 21 August 2012 (copy enclosed) which advises that Roads and Maritime Services (RMS) support for the restoration of the road will depend on the Council undertaking specified mitigation works at its cost. Council has undertaken public consultation in relation to this advice and has also consulted with Bellingen Shire Council. Your letter of 21 August 2012 refers to a March 2011 announcement that $10 million would be provided towards the repair and restoration of the damaged northern section of the Bowraville to Bellingen Road. Nambucca Shire Council is now aware that Bellingen Shire Council accepted a tender for the restoration of the northern section of the road for the sum of $2.99 million.? This compares with the original indicative costs for the northern section of $5.9 million with a 30% contingency.? Given the very favourable outcome of the tender for the construction of the northern section, it is reasonable to question whether the $16 million estimated for the southern section is in fact an over estimate.? Both Nambucca and Bellingen Shire Councils request the RMS further investigate the cost of the restoration of the southern section based on the lower than anticipated tender price received for the northern section restoration and the fact that the road was a classified regional road up until 5 June 2009. There have been discussions at the Mid North Coast Regional Organisation of Councils (MIDROC) about the future direction of the organisation. Currently, the regional organisation of councils that exists (MIDROC) is a Section 355 Committee of Port Macquarie-Hastings Council.? This was established as a temporary measure while investigations were undertaken into organisation models. There is potential for improved efficiency and effectiveness if some services are provided regionally.? A corporation is seen as the optimal structure to achieve this outcome. It will be separate from the members, yet owned by the members.? It will provide regulation around transparency for how it operates, but not have the additional costs of duplicating local government specific community planning. 1????? That Council agree to the formation of a corporation to provide regional based services and lobbying on behalf of Nambucca Shire Council as part of the Mid North Coast Region. 2????? That the Mayor and General Manager work with MIDROC councils to develop a constitution that ensures the local council retains the authority to determine services and service levels and which provides fair and equitable treatment of all members of the corporation. Council does not have to participate in the Mid North Coast Regional Organisation of Councils (MIDROC) but it would be one of the few councils in the NSW that does not participate in a regional organisation of councils. If councils are to explore opportunities for improving their efficiency and effectiveness through alliances then there has to be a governance model which facilitates this. The alternative options which the report discusses are a Section 355 Committee of a single council (current) a County Council, an Incorporated Association or a Corporation. For the reasons provided in the report a corporation is considered to be the preferred model.? Under the NSW Local Government Act 1993 a council/s can only establish a corporation with the approval of the Minister. The following report has been put to and adopted by Kempsey Shire Council and represents the agreed direction for the future of MIDROC across the eight (8) participating councils.? The Mayor and General Manager of Kempsey Shire Council are the respective Mayor and General Manager Chairs of MIDROC.? However it is necessary for each individual council to agree to this future direction. Currently, the regional organisation of councils that exists (MIDROC) is a Section 355 Committee of Port Macquarie-Hastings Council. This was established as a temporary measure while investigations were undertaken into organisation models. MIDROC has received a report which indicates that continuing as a Section 355 Committee of one council is not the best structure for a regional organisation comprising eight (8) councils.? For the same reasons most NSW ROCs are moving towards a fully corporatised structure. The main alternatives to this are establishing a county council or an incorporated association. -????? The limitation that board members must be councillors from the member councils: Currently MIDROC operates from a board that consists of the mayors and general managers combined. This provides greater input and ownership in the regional direction. It allows for a greater variety of skills and experience to be involved in determining the organisational approach. This approach would also prevent the appointment of independent members to the board based on specialist skills, which may be beneficial into the future. -????? The additional cost that would be incurred compared to a corporate structure as county councils need to separately comply with all of the governance requirements of the Local Government Act. - ???? The inflexibility of the structure.? Most aspects of the organisation are set by ministerial proclamations and regulations. So if, for example, the membership wished to change its contribution levels or what services are offered through a county council it would require going through the process of gaining ministerial approval. Under a corporate structure it would only require the members? support (at whatever level is established in the constitution). Similarly, in the future environment there is scope to be an efficient service provider to groups outside the owning membership. If this is achieved there may be a desire to provide for dividends, which are not contemplated under a county council model, which only has provisions for contributions from members to the county council. Establishing an incorporated association was not considered appropriate as it is felt that the organisation may exceed the threshold level ($2m) at which organisations are considered too large to be incorporated associations. Accordingly, the councils would only have to come back and go through the same process again to change the organisational structure. Establishing a corporation would bring the organisation under the general requirements for any corporation. Directors would have fiduciary responsibilities and be required to meet a similar level of care and diligence to what is required of a councillor. 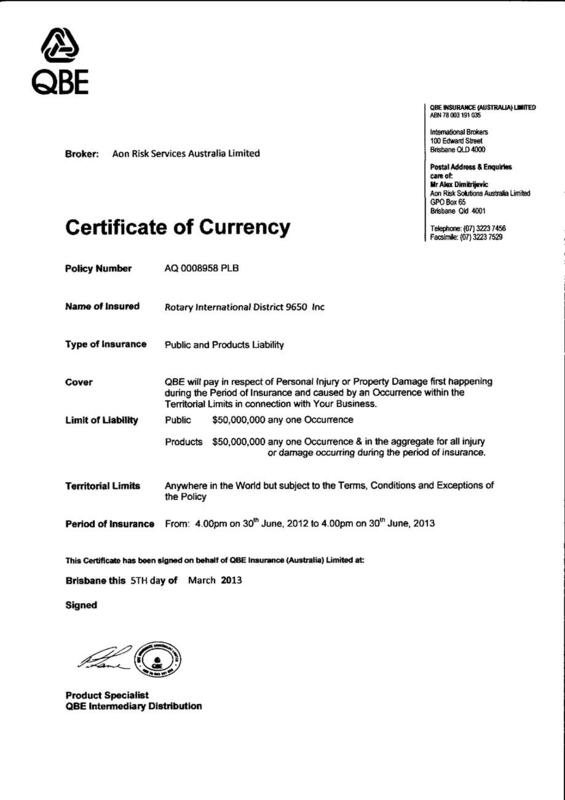 The corporation would be required to report to and meet the requirements of ASIC and the corporations? legislation, which requires annual financial reports to be audited. The provisions effectively provide a similar level of transparency to the Local Government Act, but would avoid having to develop community strategic plans and delivery plans, which should be established at the member council level, with the regional organisation simply being a vehicle to provide the services and lobbying for what its members request of it. It is clear from discussions with a range of people within the NSW Government that there will be a need in the future for regional advocacy. It is clear from the research undertaken so far that there is potential for better results by some services being provided regionally. A corporation is seen as the optimal structure to achieve this outcome. It will be separate from the members, yet owned by the members. It will provide regulation around transparency for how it operates, but not have the additional costs of duplicating local government specific community planning. There has been consultation and discussion across the MIDROC Councils.? From the statements made at MIDROC Board and General Manager Meetings, the recommendation is supported across MIDROC Councils. Under the NSW Local Government Act 1993 a council/s can only establish a corporation with the approval of the Minister.? Given the deliberations of the Independent Panel on the structure of NSW Local Government are still on-going, the Minister may be reluctant to endorse the creation of a new corporation until such time as the Government makes a decision on the Panel?s recommendations. The establishment of a proper governance framework for MIDROC is necessary to properly manage risk (and any reward) for the participating councils.? The recommended framework is a company model. There will be some compliance costs associated with the establishment of a corporation which will need to be shared by the participating councils. If the corporation undertakes fee for service activities there will be potential requirements for the payment of company tax.? An inquiry has been made with the Council Chair of the MIDROC (Kempsey) as to the liability of the corporation to pay tax.? A response had not been received as at the publication cut-off for the business paper. 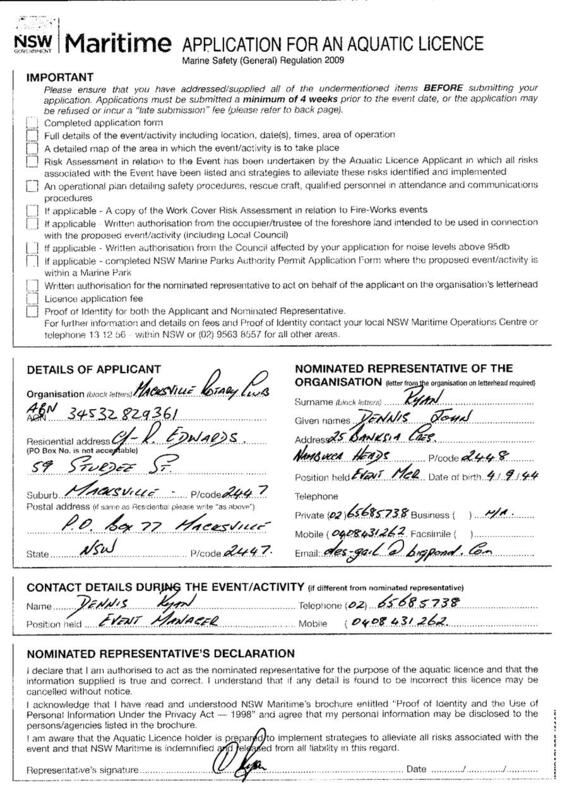 The RSL Macksville Sub Branch has requested Council to waive the development application fee for the construction of a Community War Memorial.? Under Council?s revised Donation Policy it can resolve that a donation equivalent to the development application fee be made. 2??????? That a Memorandum of Understanding be prepared to indicate that the RSL Club is to be responsible for the maintenance of the Memorial. 1??????? That Council not donate the development application fee. 2??????? That Council donate a portion of the development application fee. 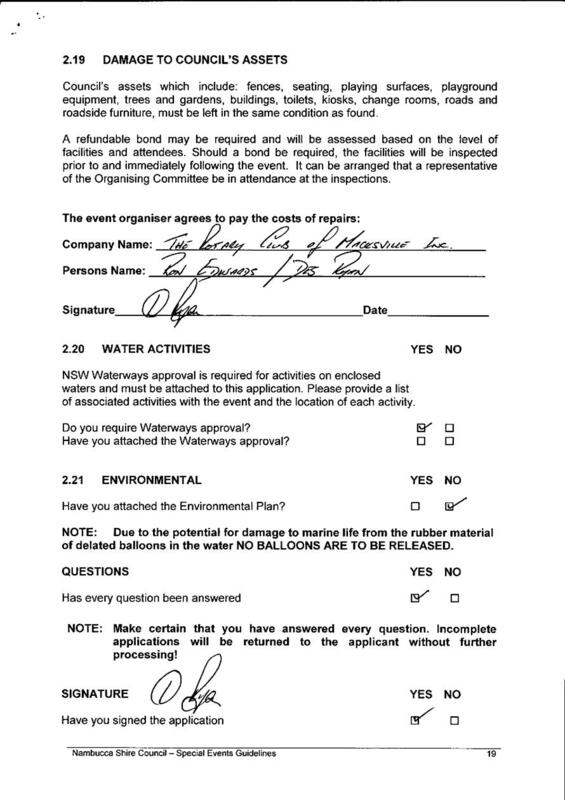 As a result of Council?s revised Donations Policy requests such as this are now required to be considered by Council. A development application has been lodged for the construction of the War Memorial (DA2013/090). There is no permanent community monument to pay recognition to those men and women, from this district who went to war and never returned. With the approach of the centenary of the outbreak of WW1 in 2014 and then, the one hundredth anniversary of the landings in Gallipoli in 2015, action should be taken to have in place a community War Memorial for the commemoration of these catastrophic events and the decimation they caused to the youth of our nation, not only here in the Nambucca Valley but through rural and regional Australia generally. Following on from WW1 our Valley youth answered the call for WW2, Korea, Malay/Borneo, Vietnam and more recently, East Timor, Iraq and Afghanistan. The Sub Branch expects the construction costs to run to approximately $130,000 and they are of the opinion that the donation of the development application fee would be a substantial step by Council to have input into the project, for and on behalf of the Macksville community and the wider Shire community. This is a significant community initiative particularly for those who participated in or have lost loved ones in wars that Australia has participated in.? The construction of the War Memorial has a positive impact on the community. This report has no economic impact. 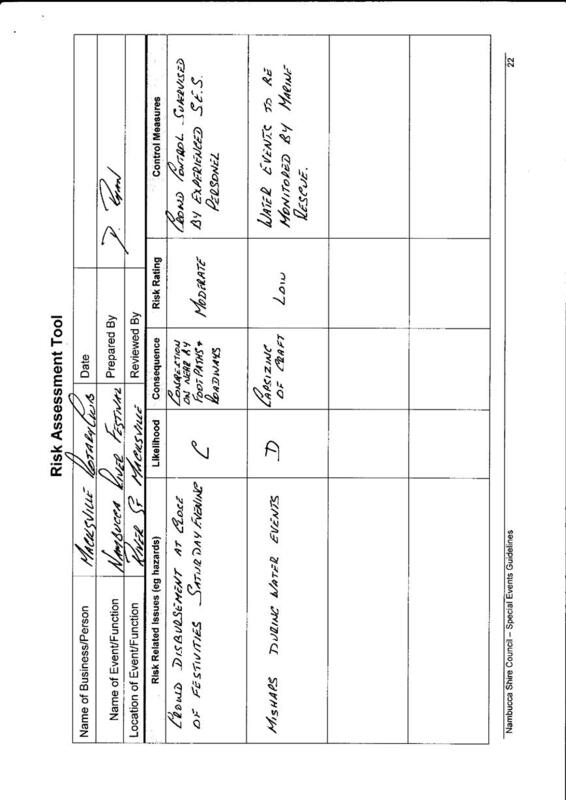 There are no risks involved with this report. 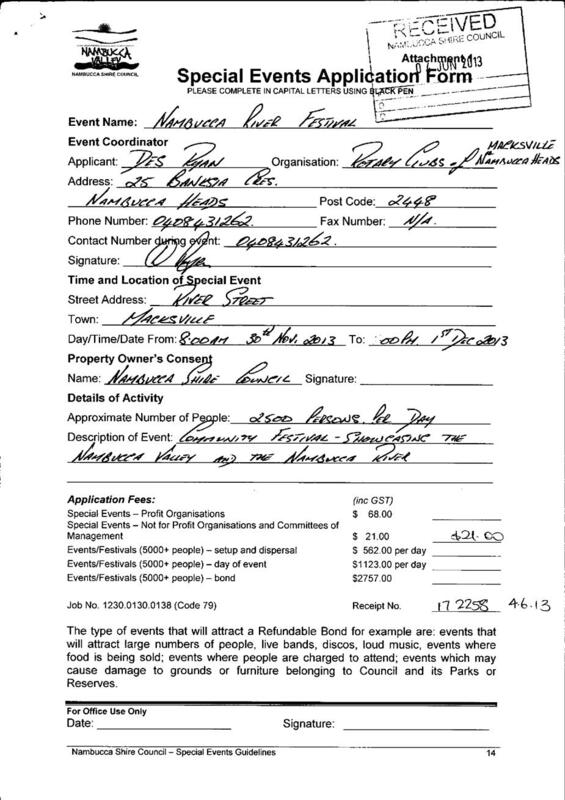 Council at its meeting on 12 June 2013 approved donations for 2013/14 of $10,030.? Approval of this donation of $2330.30 will leave a balance of $2,640. There is no impact on resourcing and no staffing implications. AUTHOR/ENQUIRIES:??? Grant Nelson, Strategic Planner ???????? The purpose of this report is to gain Council support to exhibit draft Streetscape Plans and options prepared for Macksville Town Centre. 1??????? That Council exhibit the draft streetscape improvement plans for a minimum period of 30 days. 2??????? That Council exhibit the Observations and Opportunities report as supplementary material to the Streetscape Improvement Plans. Council may choose not to support the plans for exhibition or require changes to the plans prior to exhibition. Noting if Council choose to make changes at this point in time that this may impact on the budget of the project which is limited. In December 2012 Council resolved to allocate $20,000 from the environmental levy to Streetscape Improvements or Plans between each Macksville, Nambucca Heads and Bowraville. Each Chamber of Commerce was approached in writing and comments were received from Nambucca Heads and Macksville. -???? No response was received from the Bowraville Chamber of Commerce. 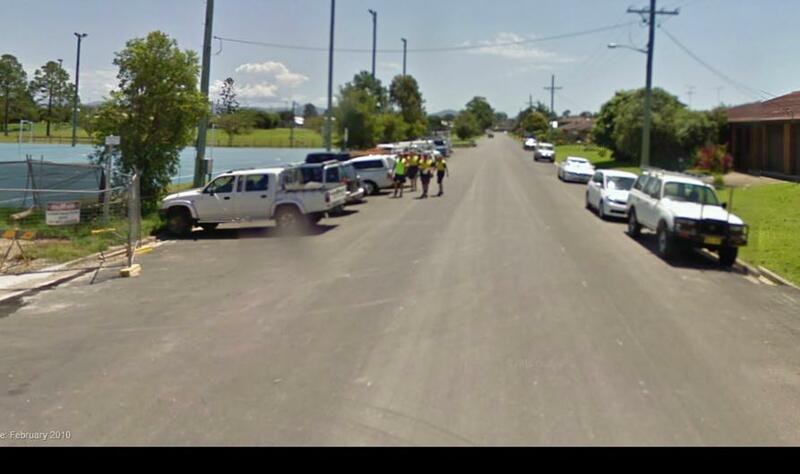 This report discusses the preparation of Streetscape plans for Macksville, for which draft options have been prepared and are presented as an attachment to this report [Attachment 1]. The plans have been prepared by Bennell and Associates and Jackie Amos Landscape Architects in accordance with the brief and with reference to an Observations and Opportunities report which was prepared internally [Attachment 2]. Council?s Local Growth Management Strategy - Employment Lands (GHD 2010) recommends a revitalisation strategy be prepared for the Macksville CBD as part of a broader suite of actions to capture opportunities and alleviate impacts associated with the Pacific Highway Bypass of Macksville. The Observation and Opportunities report is considered a first step in moving towards a revitalisation strategy. This report has been prepared to assist Council and the community to examine the structure, function and attributes of Macksville and identify opportunities that may build on the existing character and improve the viability of the Macksville town centre as aplace of employment and living for the residents and visitors to the Nambucca Shire after the Pacific Highway bypass. This report assists in consolidating recommendations from a number of pre-existing studies to provide a set of actions to be considered when developing plans or strategies that may affect Macksville. Although the plan is diverse and gives consideration to a number of potential or future actions, not all of them may be feasible or provide value for money opportunities. As further consideration or reporting is completed on various actions cost benefit analysis will be provided. In summary the concepts presented illustrate how the vibrancy, health and liveability of the town centre can be improved and seek to build on the Town Centre as a ?destination?. The plans focus on opportunities that may be created once the Pacific Highway bypass is complete. The plans reinforce the town?s connection with the river by opening up access to River Street improving views of the River from Princess Street and enhancing the existing wharf area. The town is provided with garden areas and street trees to help reinforce the street grid and legibility and deliver environmental benefits, including protection from the sun, bioretention and the like attributes. The plans reinforce the major corners and intersections to assist with legibility. The grid theme is further encouraged by adopting a ?patchwork quilt? thematic in the pavement, street furniture, sculptures etc. This plays on the idea of the history of Macksville as a quilting town (Easter Quilt Show) and allows other themes or events to be incorporated in the grid theme such as the Macksville Gift, Rusty Iron Rally, the Nambucca River or local personalities. The green spaces, pedestrian accesses and upgraded recreation areas and facilities will contribute to the overall health of the town and the local residents. The second was to present the draft streetscape options and workshop the likes and dislikes in regard to the draft plans as well as look at possible funding opportunities and responsibilities. A report on results of this workshop was prepared [Attachment 4]. Further it is noted that given the significance of the impending highway bypass Council staff have formed an informal ?past the bypass? working group which consists of Council?s Manager Community Services, Manager of Business Development; Management Technical Services, Strategic Planner, Healthy Communities Coordinator and Section 94 & Grants Officer. This group meets as needed to discuss new initiatives, progress on activities and other reporting relating to the highway upgrades. The team has been integral in the preparation of the draft plans, discussions with the consultants and feedback has been sought on various aspects and draft drawings as needed. It is proposed to exhibit the draft Streetscape plans for a period of 30 days. The exhibition will be at each library, Councils offices and website. Also arrangements will be made to place the material in a vacant shopfront within the Macksville Town Centre. The exhibition material will include the draft plans and initial feedback from the two (2) workshops. After the exhibition period is completed a report will be prepared for Council which will a include a review of the key issues and recommendations for refinement of the plan. Given budgetary constraints it may not be possible to make all changes to the draft plan, however it is intended to refine and provide more detail for the Priority 1 area being River St and where possible make adjustments to other parts of the plan. If the budget does not cover all recommended changes to the plan, they will be noted as future stages and progressed to detailed design in line with a program. The Healthy Communities Coordinator has indicated there is residue funding available from the Healthy Places and Spaces program which will be used to provide detail plans for the River Street Area. A flow diagram of the overall process is presented below. A large component of the draft streetscape plans is the incorporation of street trees and green spaces in accordance with one of the key targeted themes, being ?garden town?. The proposed improvement and revitalisation will build on environmental themes including water conservation and climate change resilience.? The draft plans are proposed to be placed on exhibition, there is no risk involved with this process. The project has been funded via the Environmental Levy. Some additional funds are proposed to be sourced from the Healthy Spaces and Places Program. The Planning Institute of Australia Healthy Spaces and Places workshop was held at Council Chambers on 2 May 2013. There were 14 participants at the workshop including Council staff from Planning, Engineering and Community Services, representatives from each of the Chambers of Commerce, NSW Police Crime Prevention Unit, NSW Health Promotions and local organisations. The workshop included a practical component and application of healthy spaces and places principles through a focus on Macksville CBD and surrounding area, keeping in mind that the Pacific Highway will soon bypass the town.?? Council?s Observations and Opportunities analysis document provided background information ?to examine the structure, function and attributes of Macksville and identify opportunities that may build on the existing character and improve the viability of the Macksville town centre as a place of employment and living for residents and visitors to the Nambucca Shire after the Pacific Highway bypass.??? With this in mind workshop participants formed two groups and walked around the CBD and surrounding area using the Heart Foundation Walkability Checklist to identify key elements such as walker friendliness, comfort and access, safety, and convenience and connectedness.?? ????? Connectivity - pedestrians generating activity ? walk and cycle way around CBD, along River street, Willis/East Streets, around Macksville playing fields, across Cooper Street, through Dawkins Park, along Princess Street back into CBD.? Walk way branch to north side of the river. Walk way to include signage e.g. at the Library > ?4min walk to town square/centre? ????? Visitor facilities and attractions ? Macksville pool/Cooper Street BBQ picnic area with playground; Sports mural or public art on the bare wall back of bus depot;? Include Macksville playing field in the walk way, upgrade play area & cricket nets, establish a climbing wall, other equipment, have dog litter bags available, include shade trees to sit under,? free outdoor exercise hub. The purpose of this report is to advise the Council of the results of the exhibition of the Planning Proposal LEP Amendment No. 13 to reclassify Lot 2 DP330678 at 11 Kent Street Nambucca Heads (Nambucca Senior Citizens Centre) from Community to Operation Land. 1??????? That pursuant to Clause 59 of the Environmental Planning and Assessment Act 1979 the Planning Proposal (LEP amendment no 13), associated documents and submissions be forwarded to Department of Planning and Infrastructure requesting that they seek the making of the Plan by the Minister. The purpose of this planning proposal is to reclassify the land from community to operational land and allow for the future disposal of the land. ?that Council approach the Nambucca Senior Citizens Centre with a view to arranging a meeting to discuss a possible partnership with U3A and a mutually agreeable arrangement for sharing of the facility.? Further, that the opportunity for transfer of the building from Council ownership to the Senior Citizens Centre Committee also be discussed.? The transfer of the building to the Nambucca Senior Citizens Club Inc. will remove maintenance costs as well as the depreciation expense from Council?s accounts. Council can still provide support to the Club through its Grants Officer and Donations Policy. The infrastructure at 11 Kent Street is currently in good repair, it is an older timber building and will require proportionately more maintenance than a newer brick building on a concrete slab.? Notwithstanding that Council is the registered owner of the property, the Nambucca Senior Citizens Club Inc. can demonstrate they have more equity in the property than Council.? This may make it more problematic, at least from a political/moral perspective, to direct the Nambucca Senior Citizens Club Inc. in relation to the use of the property.? There is no evidence that in the 19 years since the establishment of the Senior Citizens Centre that Council has provided any direction as to the use of the property. 1??????? That Council offer to transfer ownership of the Nambucca Senior Citizens Centre to the Nambucca Senior Citizens Club Inc. with Council meeting all legal costs and any stamp duty which may be applicable.? Further that the Club be requested to indicate its agreement or otherwise to this offer within 60 days. 2??????? That the Nambucca Senior Citizens Club Inc. be advised of the provisions of the Local Government Act 1993 in relation to exempting the property from the payment of rates. 3??????? In the event that the Nambucca Senior Citizens Club Inc. agree to the offer in Recommendation 1, that Council proceed with a planning proposal for the reclassification of the land from community to operational and undertake the required public notice and public hearing. Subsequent correspondence from the Nambucca Senior Citizens Inc identified that they agreed to the transfer of the land as such a planning proposal for the reclassification of the land is required. ?A gateway determination was received from the Department of Planning on the 23 April 2013. The planning proposal was exhibited from Thursday 30 May 2013 to Friday 28 June 2013 at Councils administration centre, the Nambucca Library and on Council?s Website. During the exhibition period Council received no submissions in relation to the reclassification. 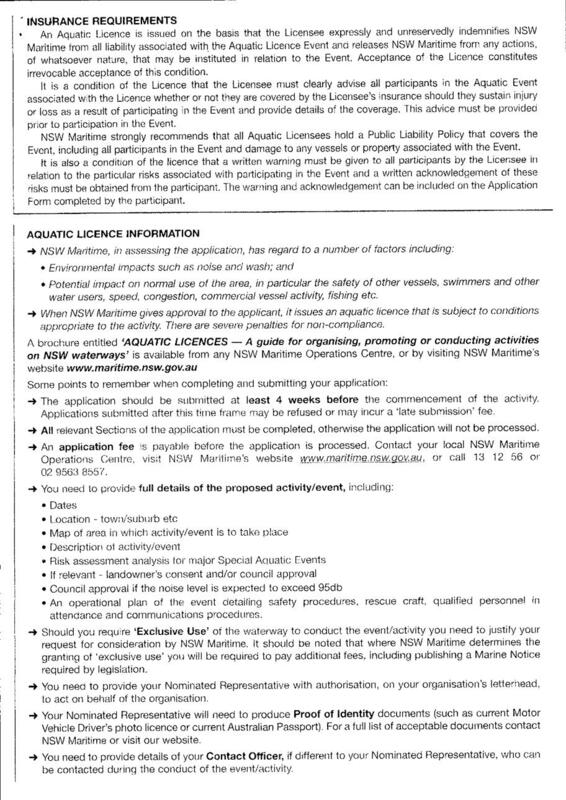 A public hearing was held on Thursday 13th?June 2013 at 5:30pm at the Nambucca Senior citizens Centre located at 11 Kent Street Nambucca Heads. Seven (7) persons attended the public hearing, all being representatives of the Nambucca Senior citizens centre. No negative responses to the proposal were received at the public hearing. A facilitators report from Liz Jeremy is provided as [attachment 1]. Refer to the below impacts on current and future budgets. The transfer of the building will remove maintenance and depreciation costs from Council?s future budgets. There will be a? ?one off? cost in transferring ownership of the building.? The cost will depend on whether or not stamp duty is payable on the transfer.? If stamp duty is not payable then the costs of the transfer should be less than $5,000.? If stamp duty is payable then the cost will be in the vicinity of $14,000 based on an estimated property valuation of $300,000. Letter sent 5 December 2012.? Discussion with CVC General Manager who requested the matters of contention be listed in an email.? Points of contention emailed 28 February 2013.? Response received and being discussed with Manager Community and Cultural Services. Further letter sent to Clarence Valley Council asking for a breakdown of $206,241 paid for ?redundancies and terminations?.? Response received.? To be reported in July.? Deferred to August. Letter sent on 6 March 2013.? Response received 28 March 2013 indicating the RMS is in the process of conducting a speed zone review at this location. Follow up letter sent 18 June 2013. Notwithstanding, there has been advice to the media, Council is yet to receive formal notification. That Council receive a report on the comparison of waste costs from a Sydney council and Mid North and North Coast councils. The GM consult with Bellingen Shire Council to gauge its interest in forming a working group to review the Coffs Coast Waste Service?s strategic direction. Letter sent 6 June 2013. A delegation comprising the Mayor, interested Councillors, a rep of the three Chambers of Commerce and a victim of crime? seek an urgent meeting with the Minister for Police and the Hon. Andrew Stoner MP.? 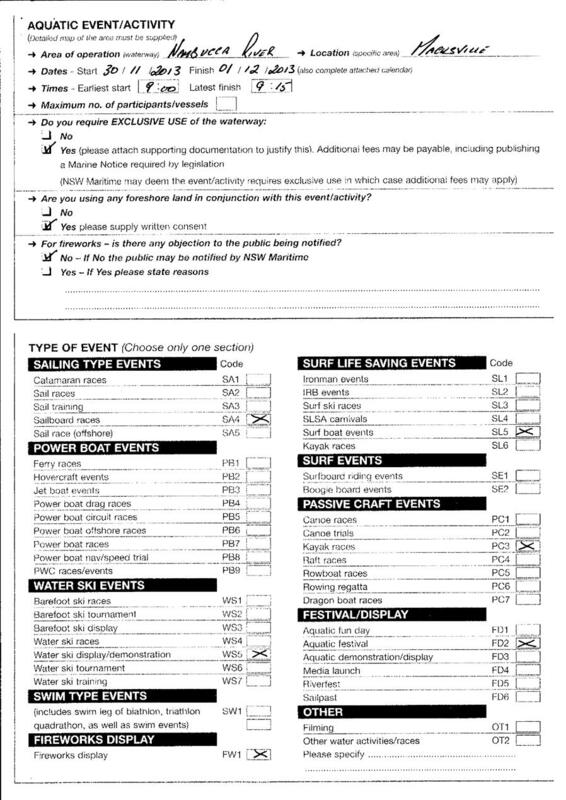 Also stat dec forms be distributed and a media release be issued. Request sent to Andrew Stoner?s office on 12/7/2013.? Media released issued on 12/7/2013.? Stat. dec. forms circulated. This report provides Council with an update on the organisational status of the Mid North Coast Organisation of Council?s [MIDROC], and also provides a copy of inaugural Strategic Plan as adopted at the MIDROC Board meeting held 24 May, 2013.? That the Mid North Coast Regional Organisation of Councils Strategic Plan 2013 ? 2017 be noted. The Mid North Coast Regional Organisation of Council?s (MIDROC) is the peak organisation representing the interests of eight Local Government Areas (LGA?s) on behalf of over 300,000 residents of the Mid North Coast (MNC). It is the third fastest growing region in New South Wales with a projected population growth to 380,000 persons in 2031.
? Advocate to and informs all spheres of government of the economic, social, environmental and infrastructure needs of the region.
? Strengthen the role of local government in regional affairs with regard to policy and strategic directions of both State and Federal government. ????? Bellingen Shire Council; Coffs Harbour City Council; Greater Taree City Council; Port Macquarie-Hastings Council (formerly Hastings Council); Kempsey Shire Council; and Nambucca Shire Council. ????? Great Lakes Council & Gloucester Shire Council joined MIDGOC in 2004. 2003:????? a Memorandum of Understanding (MOU) was established between the member Councils. 2006:????? Feasibility study completed that cantered on creating a more formal strategic alliance of Councils along the mid north coast of NSW. In November 2011, the MIDGOC Constitution was amended to the MIDROC Constitution. 2012?????? MIDROC endorsed the development of a Strategic Plan to guide its activities. 2013 ????? The MIDROC Strategic Plan was adopted (attached). This Strategic Plan is the first developed in the history of MIDROC and reflects a determination by the members to become a more effective voice for local government and local communities across the Mid North Coast area. The Strategic Plan indicates the desire of MIDROC to advance the regions position to both the State and Federal governments in a number of key areas through a targeted advocacy campaign. ?? promotion of local government?s role in community planning. In pursuing these activities MIDROC acts to build and maintain close working relationships with state and federal governments and supporting member councils in pursuit of achieving sustainability in delivering services that the community needs and aspires to. The MIDROC Strategic Plan has been discussed and adopted by MIDROC. The Strategic Plan provides for action across MIDROC on environmental matters. The Strategic Plan provides for action across MIDROC on social issues. The Strategic Plan provides for action across MIDROC on economic matters. The Strategic Plan provides a formula for the calculation of contributions by member councils. There is no impact on service levels of staffing resources. AUTHOR/ENQUIRIES:??? Peter Wilson, Assistant General Manager Corporate and Community Services ???????? Report informing Council of the findings from the Community Satisfaction Survey conducted in May/June this year. That the input from the 400 residents who participated in the surveys be formally acknowledged and that the survey results be placed on Council?s website. That the survey results not be made available to the public. Council commissioned Jetty Research, an independent research firm, to assess the level of satisfaction among our residents on the Council?s managed facilities and services, frontline customer service (call and contact), a possible special rates variation specifically to fund road/bridge infrastructure and attitudes towards 4WD vehicle access on beaches in the Shire. The survey results of the community satisfaction survey will provide information and insight for setting priorities, reviewing levels of service and preparing budgets based on the feedback from residents. The findings from the community survey will be shared with our community by posting the survey results on the Council?s website, following Councils consideration of this report. The community satisfaction survey has been conducted on a 3 year cycle commencing in 2007, with the data to be used to measure community satisfaction. 1.?????? Of 27 council services and facilities measured, 16 (59%) had a mean satisfaction score of three or above (using a 1-5 satisfaction scale). Top-ranked services included water supply and sewage collection and treatment (each with a satisfaction rating of 4.27 out of a possible 5), libraries (4.22), the Council pool at Macksville (4.16) and garbage/recyclables (4.07). 2.?????? Conversely 11 services (41%) had a mean score of below ?par?. These included sealed and unsealed roads (which each had a satisfaction rating of 2.41), climate change planning (2.42), economic development (2.49) and youth activities and services (2.52). 3.?????? In terms of importance, water supply had the highest mean rating at 4.79 (again using a 1-5 scale). This was followed by sewage collection/treatment (4.69), sealed roads (4.68), beaches (4.60) and garbage/recyclables (4.59). 5.?????? Looking at the gap between importance (or expectation) and satisfaction, the greatest shortfalls came in sealed roads, bridges, and economic development and investment. The lowest gaps were in the council pool (where satisfaction actually outweighed expectation), libraries, public halls, sporting facilities and sewage collection/treatment. 6.?????? In terms of their overall satisfaction with Council?s performance, 38% declared themselves satisfied against 23% dissatisfied and the balance neutral. The weighted mean satisfaction rating of 3.18 was above the benchmark score of 3.00, and in line with the 2010 result. 7.?????? Some 45% of respondents had visited Council?s administration centre during the previous six months, with the largest proportion of these (48%) choosing to pay their rates in person. Of those visiting the centre, 84% were satisfied with the service they received. 8.?????? Meanwhile 16% had written letters or emails to Council in the previous year, and 39% had telephone contact. Satisfaction rates of these writers and callers were 44% and 66% respectively. 9.?????? When asked how they would like to see a hypothetical $5 million general use grant spent, the largest proportion of respondents (57%) chose road improvements. A distant second was building or maintenance of local bridges (26%), followed by a host of specific facilities (15%) and attracting business and employment (10%, along with youth programs and facilities.). 10.???? Nine in ten respondents felt Council should be spending more on road and bridge maintenance. 77% of residents were willing to accept a rate variation of between $1 and $4 per week to make this happen (with $2 per week the most common figure nominated). 11.???? 55% of respondents believed Council should allow four wheel drive access to selected Council beaches. (This included 63% of 4WD owners and 50% of non-owners.) Of those believing they should not be allowed, between 11% and 16% felt they should be allowed at one or more of the three nominated spots ? Scotts Head at Foster Beach,? the northern end of Valla Beach, or Nambucca Heads at the swimming creek. 1.?????? While the majority of satisfaction scores are stable relative to the 2010 survey, there appears to be growing frustration with the state of local sealed roads. This came through repeatedly, and via a range of different measures. In particular, the (statistically) significant shift away from ?lowest rates? and towards ?best roads? in Graph 5.2 (page 32) suggests that ratepayers are increasingly prepared to support a special rate variation specifically targeted towards improving road infrastructure. 2.?????? There was also dissatisfaction shown with tourism promotion, which at the same time was judged to be of relatively higher importance to Council. Although we are not able to say whether or not this disquiet is valid (especially given that most tourist marketing activity occurs outside the LGA), there is at least a perception that needs to be addressed. 3.?????? Satisfaction with frontline service levels was generally high. However there was some dissatisfaction with responses to written communication (i.e. mail plus email), which in turn fed through to lower overall satisfaction scores. This should be a priority for any improvements in Council-resident communication strategies. 4.?????? A large proportion of residents continue to pay their rates in person. While their satisfaction with front counter service is high, Council may wish to reflect on whether this is an efficient use of Council resources. It may, for example, wish to consider incentives designed to get more rates paid online, freeing the front counter staff up for more ?productive? tasks. 5.?????? There was majority acceptance of having 4WD access on selected Nambucca shire beaches - even among non-4WD owners. However there was also solid support for further monitoring of 4WDs on beaches, presumably to enforce the permit system and ensure 4WDs are only accessing designated areas. 6.?????? Overall satisfaction with Council was on par with the 2010 result, and above the ?neutral? level of 3.00 (on a 5-point scale). While Councillors and management would presumably like to see this score rising, I would argue that a stable result is encouraging given the escalating financial pressures faced by the majority of regional Councils. Nambucca Shire Council, like many other local government authorities is in a process of transition. We are actively implementing a new community and corporate planning process which is underpinned by a range of affiliated initiatives. It is a work in progress and will deepen as we refine our understanding of community need over time and enhance organisational capacity. 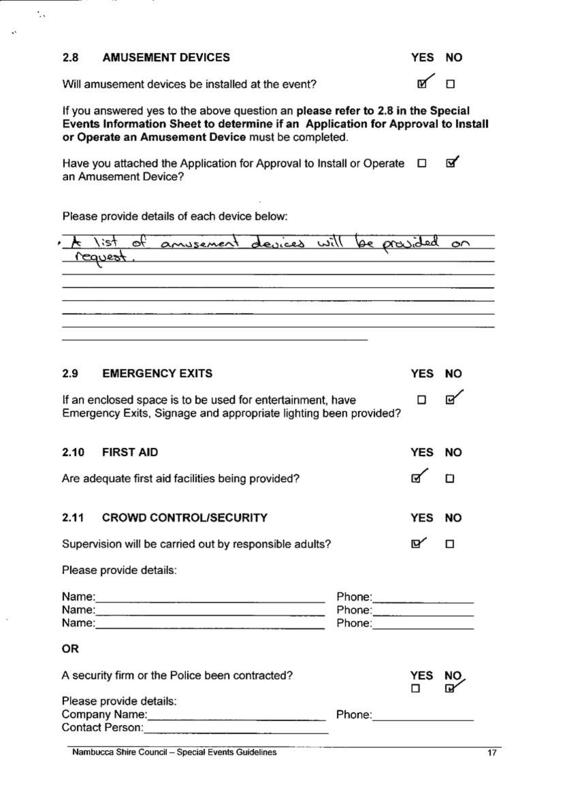 In conjunction with the development of our Integrated Planning and Reporting Framework, which is a requirement of the State Government and embedded in the NSW Integrated Government & Amendment (Planning and Reporting) Act 2009, we are implementing a range of complimentary initiatives, which importantly include the customer survey outlined in this report. ???? position Council to respond to broader economic circumstances and issues such as cost shifting and the NSW Government?s Destination 2036 local government reform agenda. -???? Implementing the Community Engagement Strategy (a component of our IP&R Framework) which defines a new way of engaging with our community to incorporate community need into our processes, programs and services? -???? Working with other Councils to explore shared services and resource sharing opportunities? Polling was conducted from 30 May to 11 June 2013 as a random telephone survey of 400 adult residents living throughout the LGA. No formal quotas were applied, although the poll did attempt to ensure an adequate mix of respondents across age groups and sub-regions. Based on the number of households within the Nambucca Shire, a random sample of 400 adult residents implies a margin for error of +/- 4.8% at the 95% confidence level. This essentially means that if we conducted a similar poll twenty times, results should reflect the views and behaviour of the overall survey population ? 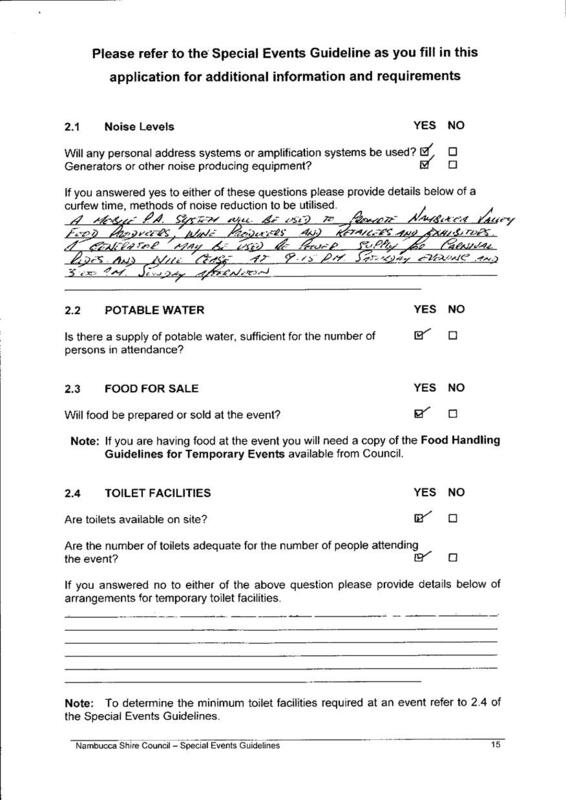 in this case ?all Nambucca Shire adult residents excluding council employees and councillors? - to within a +/- 4.8% margin in 19 of those 20 surveys. James Parker from Jetty Research will present the findings of the survey at the Council Meeting at 5.30pm and a staff briefing is also to be held. A news item is also included in the July Community Newsletter informing the community of the survey and that the survey results can be accessed on the website, following the Council Meeting. The survey results will play a key role in the setting of Council?s future strategic direction, reshaping its services and deciding funding priorities. The objective of the Nambucca Valley 2023 Community Strategic Plan is to bring about positive change within our community, so it is important to regularly check whether or not Council and our community is making progress towards achieving these goals. 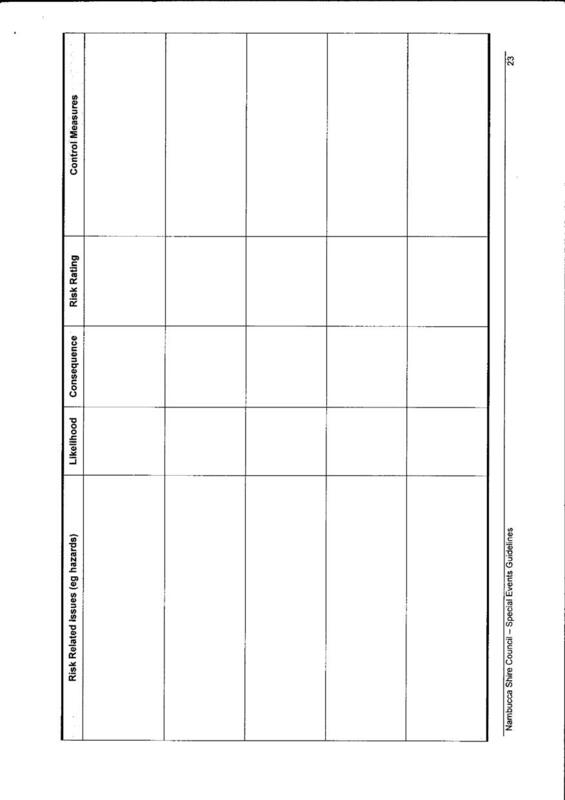 In order to do this, Council will monitor the effectiveness of our strategic planning by developing an indicator framework. The indicators used will be high level and paint a broad picture of how we are going. They will be targeted and relate to the eleven (11) theme areas. The indicator framework will include statistics and data from a number of indicators including community satisfaction surveys. Goal: Citizen Engagement ? The Council and its community support open government where public participation is encouraged not only in policy development and major decisions, but in day to day administration of the Council. Strategy 1.1.1: A statistically valid community satisfaction survey is undertaken at least once every 3 years. A variation of $15,800 was made to the 2012/13 March Quarterly Budget Review to undertake the survey.? The Model Code of Conduct sets the minimum requirements of conduct for council officials in carrying out their functions. The NSW Division of Local Government (DLG) new Model Code of Conduct was adopted by Council on 12 June 2013. The purpose of this report is to provide clarification in regard to the operation of specific clauses in the new DLG Model Code of Conduct as resolved (Minute 33/13) by Councillors at the 12 June 2013 meeting. The report is in response to a council resolution. The Model Code of Conduct for Local Councils in NSW is made for the purposes of section 440 of the NSW Local Government Act 1993. ????? act in a way that enhances public confidence in the integrity of local government. ???? stronger sanctions to help deter ongoing disruptive behaviour and serious misconduct. ????? Binding caucus votes that prevent councillors from exercising their discretion are prohibited. ?? The prohibition on accepting cash gifts of any value will extend to cash-like gifts such as gift vouchers, credit cards, debit cards with credit on them, prepayments such as phone credits, memberships and entitlements to discounts. ?? A prohibition on councillors using council resources for election purposes, unless those resources are publically available and the councillor uses them on the same terms as any other member of the public (eg hire of a Council hall). In addition, council letterheads, logos or other information that may give the appearance that it is official council material must not be used for election campaigns or other non-official purposes. ?? Councillors who have received or knowingly benefited from a reportable political donation made by a major political donor in the previous 4 years or that has a matter before council must declare a non-pecuniary conflict of interest. ?? 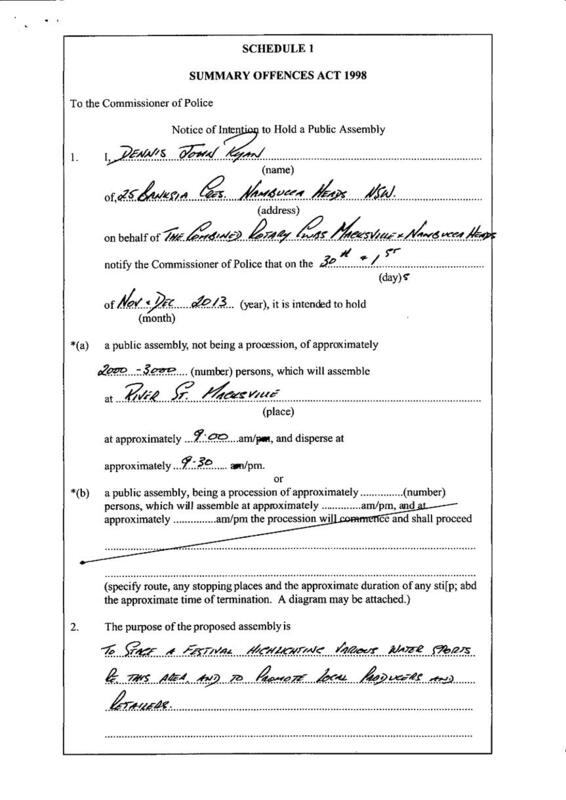 Where council does not have a quorum to consider a matter the council or committee must resolve to delegate the matter in question to another person. ?? Where the Director-General allows a council to make a decision where a quorum cannot be formed for a matter, all councillors must still disclose any interest in the matter. ?? Council?s external auditors or the chair of a council audit committee may request information from individual councillors so they can perform their functions. ?? Councillors will only be able to approach staff and staff organisations to discuss broad workplace policy issues. ?? The Code of Conduct is not to be used for any improper purpose and this includes trivial, frivolous, vexatious purposes or those that are not in good faith. It must not be used to intimidate or harass or damage another councillor?s reputation or to gain a political advantage. Detrimental action must not be taken against any person in reprisal for a complaint that has been made by way of the Code. Breaches of the Code dealing with maintaining the integrity of the Code are to be reported to the DLG. ?? Council staff must ensure that any participation in political activity outside the service of Council does not conflict with the performance of their official duties. ?? Council staff will not be able to meet with Development Approval objectors alone and outside office hours to discuss DAs or proposals. Council has included in its Code of Conduct provisions that supplement the Model Code and provisions that are more onerous than those contained in the Model Code. Clause 4.25 - Where a majority of councillors are precluded under this Part from consideration of a matter the council or committee must resolve to delegate consideration of the matter in question to another person. Response ? No discretion on the part of council. The delegation can be to a member of staff or to an external body/person. The intent is to prevent Councillors from using the loss of a quorum as a reason to block the decision making process. (a) Councillors and administrators approaching staff and staff organisations to discuss individual or operational staff matters other than broader workforce policy issues. Response ? Reinforces to Councillors that interactions with staff are at the invitation of the General Manager and in accordance with the established protocols. Also reinforces the legislative provisions of the NSW Local Government Act 1993 in regard to the role of the Mayor/Councillors and the functions of the General Manager. -??? Provide a clear and consistent framework through which breaches of this policy will be managed and reported in alignment with the Council?s Code of Conduct. The policy should also take account of the legislative provisions of the Local Government Act 1993, Government Information (Public Access) Act 2009, DLG Circular to Councils 30/10, Privacy and Personal Information Protection Act 1998, Health Records and Information Privacy Act 2002, State Records Act 1998, Environmental Planning and Assessment (EPA) Act 1979 and the Companion Animals Act 1998, Code of Conduct and the Code of Meeting Practice, in relation to interactions and access to information. Clause 6.2(c) makes reference to such policy and procedures. (i) Council staff meeting with applicants or objectors alone AND outside office hours to discuss applications or proposals. Response ? The superseded Model Code stated that ?Council staff meeting with developers alone AND outside office hours to discuss development applications or proposals.? The clause has now been amended to include applicants (developers implied) and objectors. The intent is to avoid the Wollongong Council scenario and provide protection to council staff. The Independent Commission Against Corruption (ICAC) has also issued guidelines for councillors on the appropriate way to handle lobbying from constituents, in August 2006. ICAC issued the advice in response to difficulties experienced by councillors in handling lobbying, particularly regarding controversial or significant local matters. ICAC Commissioner the Hon Jerrold Cripps QC said (August 2006) in relation to controversial or significant matters councillors need to handle lobbying in a transparent manner to avoid any perception they have been inappropriately influenced. ?Lobbying can be a minefield for councillors, particularly when they're being petitioned by opposing groups on a controversial issue, and we (ICAC) recognise that appropriate lobbying of councillors is a normal part of the democratic process. It's in the public interest that lobbying is fair and does not undermine public confidence in impartial decision-making. However, suspicions of inappropriate lobbying can occur when the lobbying is not open to public scrutiny. When dealing with significant matters, councillors should exercise judgement in deciding whether to be involved in private meetings with people that are seeking to influence a council decision. ????? making a declaration at a council meeting about lobbying activities they have been engaged in that are not part of council's formal processes. The NSW Division of Local Government also acknowledges that Councillors need to be accessible and will soon be releasing Guidelines based on better practice.?? The NSW Division of Local Government was consulted on the matters raised by Councillors. Reference was also made to the previous Model Code of Conduct and ICAC Guidelines. The Model Code of Conduct outlines the standard of conduct required for Council officials, members of Council Committees, volunteers and Council employees in order that they may uphold the highest standards of behaviour to ensure consistent and transparent governance thereby ensuring public trust and confidence in local government. Council has a responsibility to serve the community in fulfilling the requirements of its Charter under section 8 of the Act. In order to achieve this in a sustainable manner, councillors, staff and council delegates must be honest, reasonable and equitable in their dealings. The Code of Conduct sets out the standards necessary to achieve this. The foundations of good governance are the principles of integrity, leadership, selflessness, impartiality, accountability, openness, honesty and respect. The Code of Conduct and ICAC Guidelines sets out standards focusing on these principles. The following is the Contract Regulatory Officer?s Report for June 2013. The figures show an 11.86% Increase in the number of DA?s received to end June 2013 with construction costs increasing by 57.73% compared to the same period in 2012. 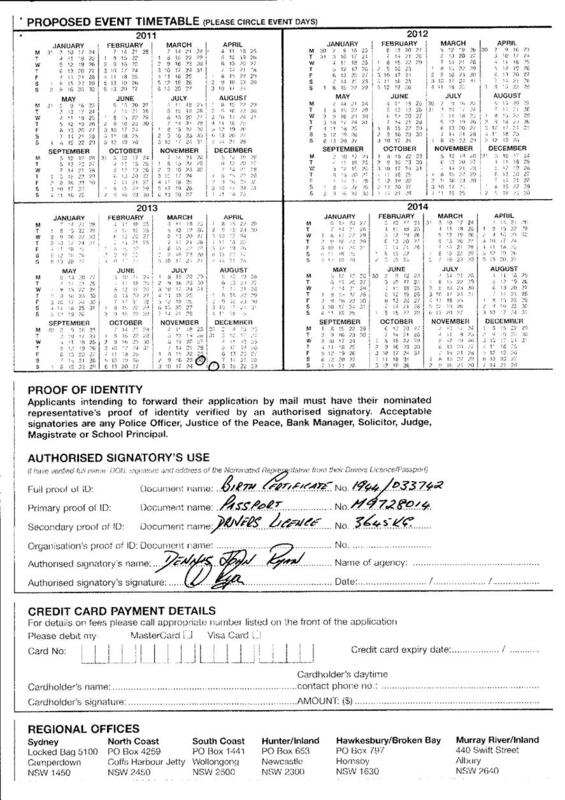 The total number of DA?s/CD?s approved for the month of June 2013 was 16 plus 2 modifications. AUTHOR/ENQUIRIES:??? Phillip Smith, Surveyor ???????? The owner of Lot 452 DP 786426, Mr David Hicks (Lofobo Pty Ltd), has requested that Council carry out maintenance on a section of unused public road adjacent to his eastern boundary. Tree branches are continually falling across his fence line resulting in constant maintenance on his part. This section of the road reserve is up to 80 metres wide, the actual formation being along the eastern side, leaving a large area of road reserve adjacent to Mr Hick?s land on the west. This land is overgrown with scrub and weeds. Mr Hicks has requested that Council clear along Council?s side of the fence line (over 200 metres), to mitigate maintenance on his part. A solution to the problem would be to sell the unnecessary section of Graces Road to Mr Hicks, leaving a 20 m wide strip over the existing formation. d???? Council affix the Council seal to the appropriate legal documentation. e???? Council amend its Asset Road Register once all transfers have been finalised. Council can refuse to agree to the road closure. If the unnecessary section of road is not disposed of Council will be responsible for the ongoing maintenance of the land. It is estimated that an initial clean-up would cost Council between $3000 - $5000. Mr Hicks has agreed to pay $1000 for the purchase of the land which has an approximate area of 8700m2 and is aware that he would be liable for all administration costs involved in the creation of a title. He would relocate his fencing along the new road boundary once the transfer is complete. Graces Road is a Council Public Road and it is likely that title to the closed road will vest in Council. There are no other property owners in the area affected by the proposed road closure. The section of road is classified as Category 3 within Council?s road hierarchy. The value of the land, ($1,000), is based on an offer received from Mr Hicks, which is deemed reasonable. A valuation report is considered unnecessary given the cost of the valuation would be worth more than the land itself. The subject area is overgrown with weeds. The problem if not addressed could have adverse environmental impacts. It is conceivable that failure to act by Council may cause social and economic hardship for the affected parties. There are liability issues if the land remains public road (tree limbs falling across fences etc). Council?s rural roads maintenance budget would be used to fund any maintenance works. There is a potential impact on current or future budgets if Council is required to maintain this section of road reserve. There is no impact on working funds attributed to the road closure as all costs are to be paid by Mr Hicks. 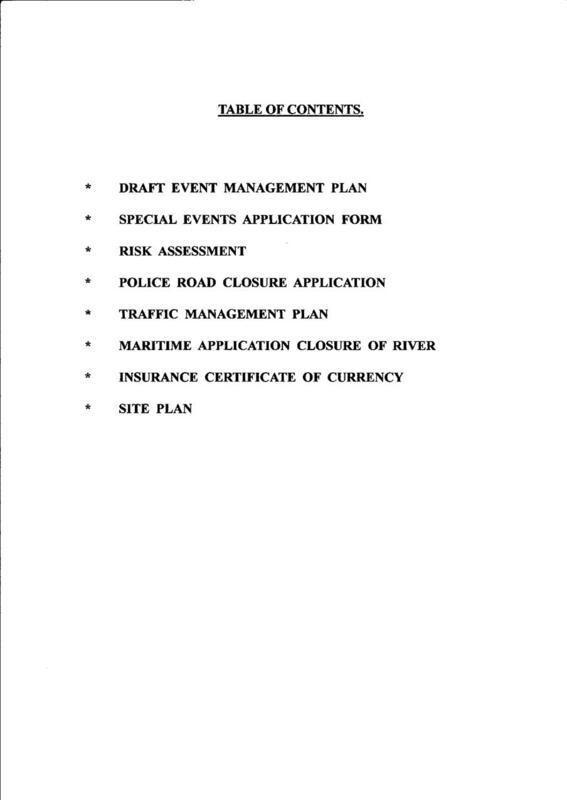 Staff will prepare road closure application pursuant to the Roads Act 1993. A quorum was not available at the meeting held on 3 July 2013 so the agenda items were raised for the information and discussion only. A record of the discussion relating to the meeting is attached for Council?s information. 1??????? Adopt the minutes of the record of discussion. 2??????? Seek further clarification on particular items. Council has also signed a Stage 2 funding deed for the remaining $9 million of a $10 million grant offered by the Federal Government.? $8 million of this Stage 2 funding has been claimed and paid to date with the remaining $1 million to be paid on completion of the works. 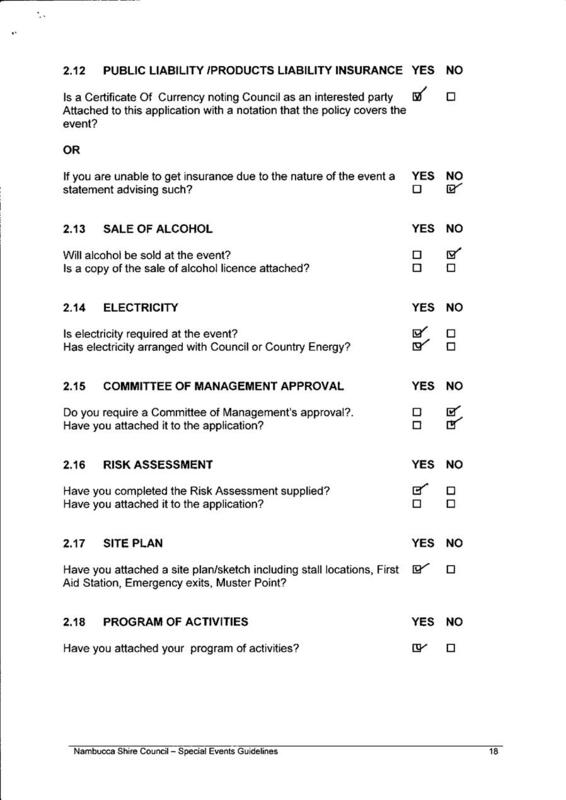 The minutes of the Nambucca Shire Traffic Committee meeting held on 3 July 2013 are attached for Council?s information and adoption. 1??????? 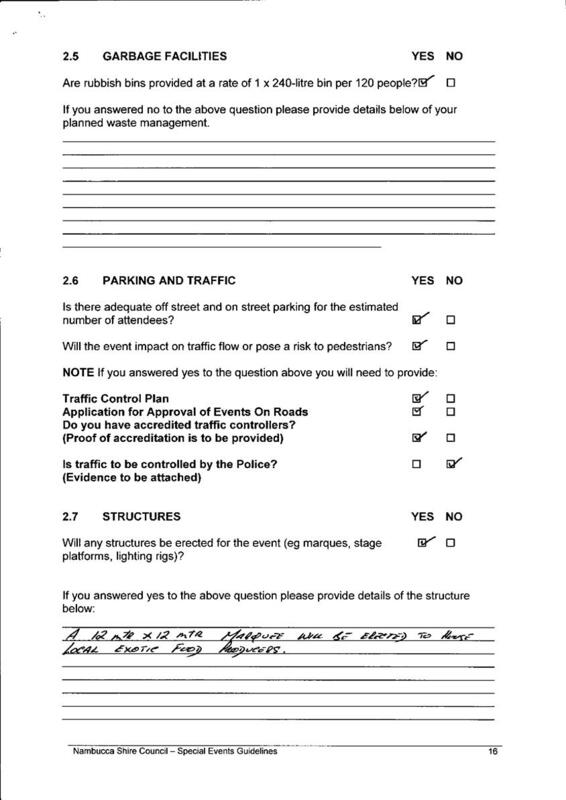 Receive and note the minutes of the Nambucca Shire Traffic Committee held on the 3 July 2013. 2??????? Endorse the temporary road closure on Mann Street and Bowra Street on the 29 September 2013 between 8.00am and 12.30pm for the DRAG-ENS Hot Rod Club annual Hot Rod display noting that the required documentation has been provided to Council. 3??????? 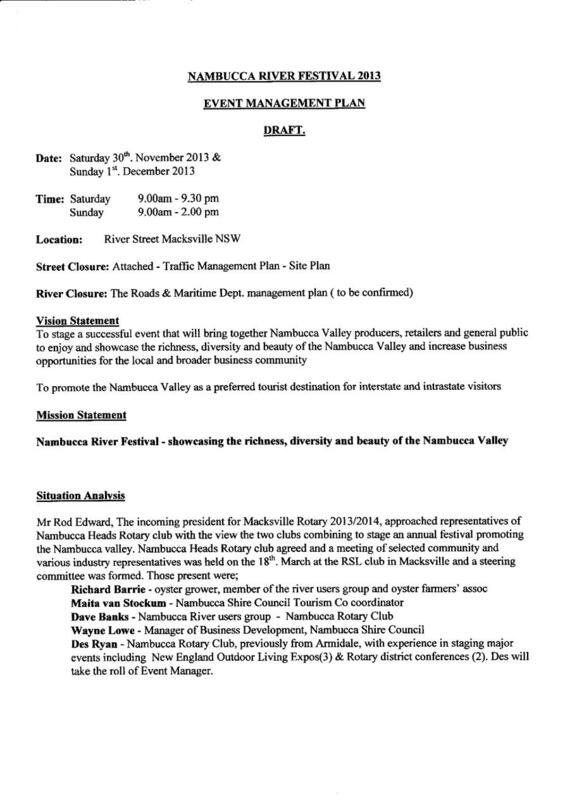 Recommend that the Local Traffic Committee carry out further consultations with the organisers of the Nambucca River Festival regarding the temporary road closure of River Street, Macksville, between the periods of 30 November to the 1 December 2013 during the hours of 8.00am to 3.00pm for the Nambucca River Festival. 4??????? Staff consult with residents in the immediate vicinity of any vertical traffic calming measures along Willis Street as these installations may result in increased traffic noise levels due to braking and vertical displacement of vehicles and on board materials. 5??????? Allocate an amount of $3,000 from Council?s working funds to install speed cushions with line marking guidance and warning signs to reduce vehicular speeds through Willis Street Macksville and the adjacent netball courts and sports fields. 6??????? Write to Busways requesting written confirmation that the bus zone outside the Nambucca Heads Entertainment Centre is not required between the hours of 6.00pm and 6.00am. 7??????? Upon written confirmation from Busways that they concur with the changes to the hours, Council modify the parking arrangements outside the Nambucca Heads Entertainment Centre to allow parking in the bus zone between the hours of 6.00pm to 6.00am and to change the parking signs accordingly. 8??????? Write to Roads and Maritime Services requesting a contribution towards the installation of the pedestrian refuge on Bellwood road Nambucca Heads as it has been identified as being required by Roads and Maritime Services during their Road Safety Assessments of Aboriginal Communities 2009. 9??????? In the event funding is not forthcoming from the Roads and Maritime Services, Council install a pedestrian refuge island on Bellwood Road Nambucca Heads at a cost of approximately $25,000 funded through Council?s working fund and or Section 94a contributions or RMS. 10????? Amend the plan showing the pedestrian refuge in Bellwood Road at a location closer to the entry of McDonald?s restaurant as a majority of pedestrians crossing manoeuvres occur at this location and advise the Access Committee of the change. Local Traffic Committee ? The Roads and Maritime Services (RMS) are legislated as the organisation responsible for the control of traffic on all roads in New South Wales.? Traffic is controlled by the installation of prescribed traffic control devices, such as regulatory signs, or traffic control facilities, such as medians. The Local Traffic Committee (LTC) has no decision making powers and is primarily a technical review committee.? It only advises the Council on matters for which the Council has delegated authority, being certain prescribed traffic control devices and traffic control facilities. The Council must refer all traffic related matters to the LTC prior to exercising its delegated functions.? Matters related to State Roads or functions that have not been delegated to the elected Council must be referred directly to Roads and Maritime Services or relevant organisation. Council is not bound by the advice given by its LTC.? However, if Council does wish to act contrary to unanimous advice of the LTC or when the advice is not unanimous, it must notify Roads and Maritime Services and the NSW Police and wait 14 days before proceeding. The members of the Committee met on 3 July 2013 and determined a number of matters as per attached minutes. Crossing Bellwood Road is historically difficult for elderly residents living in the local area to the south of Nambucca Plaza shopping centre.? A refuge island is proposed to reduce the potential for vehicle/pedestrian incidents. The Nambucca Shire Access Committee has previously requested a refuge on Bellwood Road and is supportive of the proposal. This project has also been selected from a list of identified improvements as a result of the Aboriginal Road Safety Assessments conducted by Roads and Traffic Authority in conjunction with Council and local Aboriginal communities in 2009. The refuge will provide a safer crossing point for the Bellwood Aboriginal Community. During the on-site inspection it became obvious the location of the pedestrian refuge would be better suited closer to the McDonalds restaurant entry rather than the adjacent to Mumbler Street as shown on the concept plans, virtually all pedestrian movements within a 30minute time period occurred between the Nambucca Plaza Car Park and the McDonalds restaurant with one elderly resident crossing from Mumbler Street. Members of the Local Traffic Committee were split on the most suitable location for the refuge island as the target groups for the provision of the refuge were the disabled and elderly. Relocating the refuge Island closer to the entry to the McDonalds Restaurant however caters for a vast majority of pedestrian movements while still providing a facility for target group albeit with a minor detour. A consequence of moving the refuge is the loss of a further 2 car parking bays on Bellwood Road, a total net loss of 8 car parking bays. The impacts of pedestrian safety have been balanced with the provision of on street parking in the recommendation to Council. Further consideration has been given to the location of the refuge Island, with a preference been given to a vast majority of pedestrian movements rather than solely catering for the target group, the disabled and elderly. There is a direct impact of $28,000 in the current budget if Council resolves to allocate funds to recommendations number 5 and 9. Variations will be sourced from Council?s working funds or potentially from the Roads and Maritime Services or Section 94a contributions. 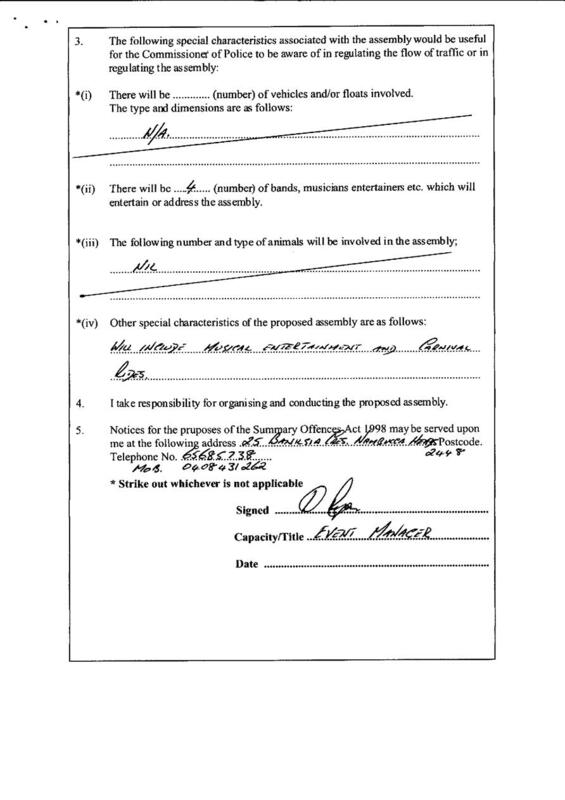 That the Committee note the adoption of the Minutes of the Meeting held 2 April 2013. 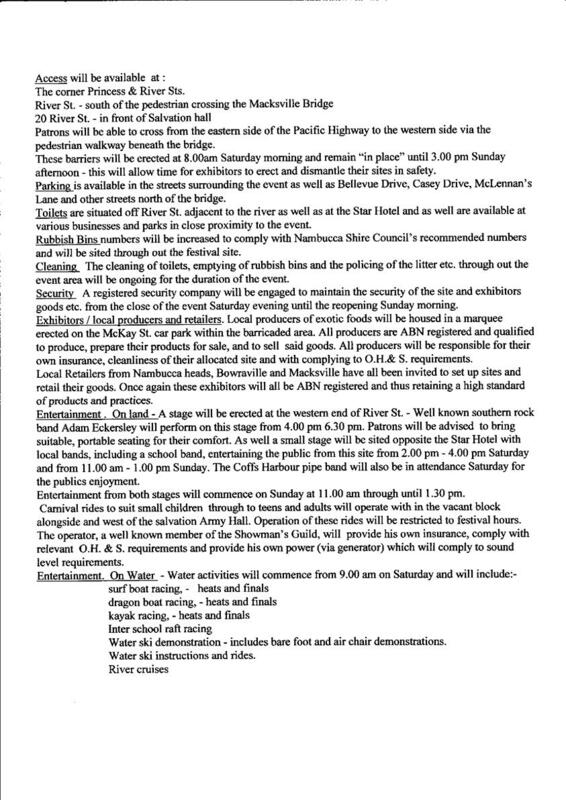 That the Local Traffic Committee recommend that Council approve the temporary road closure of Mann Street and Bowra Street, Nambucca Heads from West Street to Ridge Street between the hours of 8.00am and 12.30pm, 29 September 2013 for the purpose of Drag-Ens Hot Road Club annual Hot Rod display. 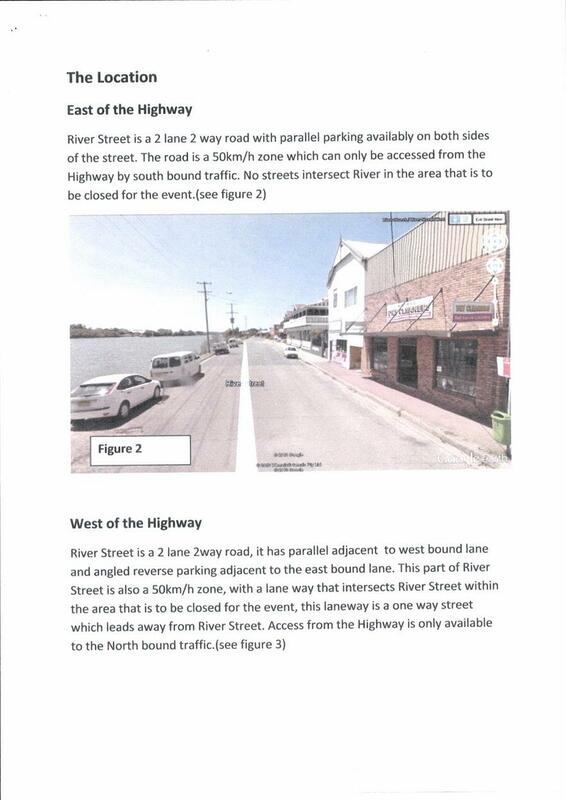 That the Local Traffic Committee carry out further consultation with organisers of the Nambucca River Festival prior to recommending approval to Temporary Road Closures of River Street, Macksville. 1??????? That the Local Traffic Committee recommend that Council allocate sufficient funds of approximately $3,000 from the Working Fund to install speed cushions with line marking guidance and warning signs to reduce vehicular speeds through Willis Street, Macksville and the adjacent netball courts and sports field. 2??????? The Local Traffic Committee recommend that Council staff consult with residents in the immediate vicinity of any vertical traffic calming measures along Willis Street as these installations may result in increased traffic noise levels due to braking and vertical displacement of vehicles and on board materials. 1??????? The Local Traffic Committee recommend that Council contact Busways requesting written confirmation that the Bus Zone outside the Nambucca Heads Entertainment Centre is not required between the hours of 6.00pm and 6.00am. 2??????? The Local Traffic Committee recommend that Council modify the parking arrangements outside the Nambucca Heads Entertainment Centre to allow parking in the bus zone between the hours of 6.00pm to 6.00am and to change the parking signs accordingly, upon receiving the requested confirmation from Busways. 1??????? That the Local Traffic Committee recommend that Council install a pedestrian refuge island on Bellwood Road Nambucca Heads at a cost of approximately $25,000 through the Council Working Fund or Section 94a contributions. 2??????? That the Local Traffic Committee recommend that Council staff write to Roads and Maritime Services requesting a contribution towards the installation of the pedestrian refuge island on Bellwood Road Nambucca Heads as it has been identified as being required by Roads and Maritime Services during their Road Safety Assessments Of Aboriginal Communities 2009. 3??????? That the Local Traffic Committee recommend that Council staff provide an alternative plan showing the pedestrian refuge at a location closer to the entry of McDonald?s restaurant for consideration as a majority of pedestrians crossing manoeuvres occur at this location. The next meeting will be held on 6 August 2013 commencing at 10.30am. There being no further business the Chairperson then closed the meeting the time being 4.40 pm. 4.1???? Temporary Road Closures For Events On Roads ? Drag-ens Hot Rod Club Inc Hot Rod Display - Nambucca Heads 2013???????????????????????????????????????????? Error! Bookmark not defined. 4.2???? 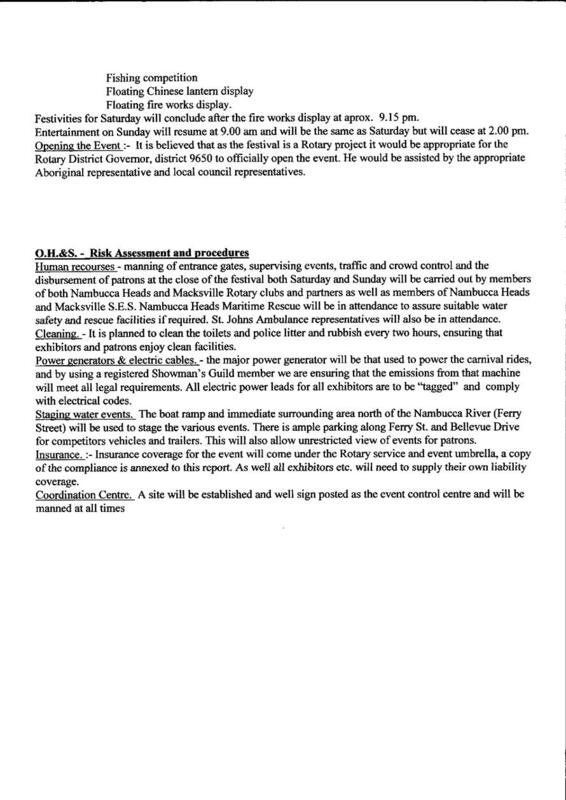 Events on Council Land - Nambucca River Festival...... Error! Bookmark not defined. 4.3???? Willis Street Macksville - Speed Restrictions Error! Bookmark not defined. 4.4???? Parking arrangements - Nambucca Heads Entertainment Centre.................................. Error! Bookmark not defined. 4.5???? Pedestrian Refuge - Bellwood Road Nambucca Heads. Error! Bookmark not defined. ???? It may be appropriate that no action is taken where the potential for conflict is minimal.? However, council officials should consider providing an explanation of why they consider a conflict does not exist. ???? Limit involvement if practical (for example, participate in discussion but not in decision making or visa-versa).? Care needs to be taken when exercising this option. ???? Remove the source of the conflict (for example, relinquishing or divesting the personal interest that creates the conflict or reallocating the conflicting duties to another officer). ???? Have no involvement by absenting yourself from and not taking part in any debate or voting on the issue as if the provisions in section 451(2) of the Act apply (particularly if you have a significant non-pecuniary conflict of interest). Council has received a request for a temporary road closure from Drag-Ens Hot Road Club for its annual Hot Rod display in Nambucca Heads. The applicants have requested the closure of Mann Street and Bowra Street, Nambucca Heads from West Street to Ridge Street between the hours of 8.00 am and 12.30 pm, 28 September 2012. That the Local Traffic Committee recommend Council approve the temporary road closure of Mann Street and Bowra Street, Nambucca Heads from West Street to Ridge Street between the hours of 8.00am and 12.30pm, 29 September 2012 for the purpose of Drag-Ens Hot Road Club annual Hot Rod display. 1??????? Refuse the application for road closure. 2??????? Approve road closure for this event. Council has received a request for a temporary road closure from Drag-Ens Hot Road Club Inc for its annual Hot Rod display in Nambucca Heads.? The applicants have requested the closure of Mann Street and Bowra Street, from West Street to Ridge Street between the hours of 8.00am and 12.30pm, on 29 September 2013. The events contribute to the local economy in an indirect way. There is minimal risk to road users the event has been held previously with no incidents. There are no service level changes or resourcing/staff implications. 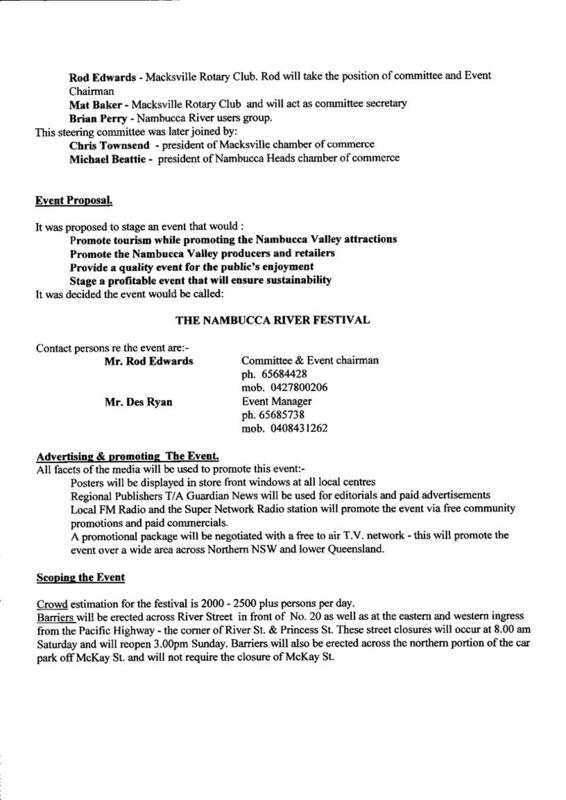 The Rotary Club of Macksville and Nambucca Heads have applied to Council to hold a Special Event on Council Land being the inaugural Nambucca River Festival. ????? 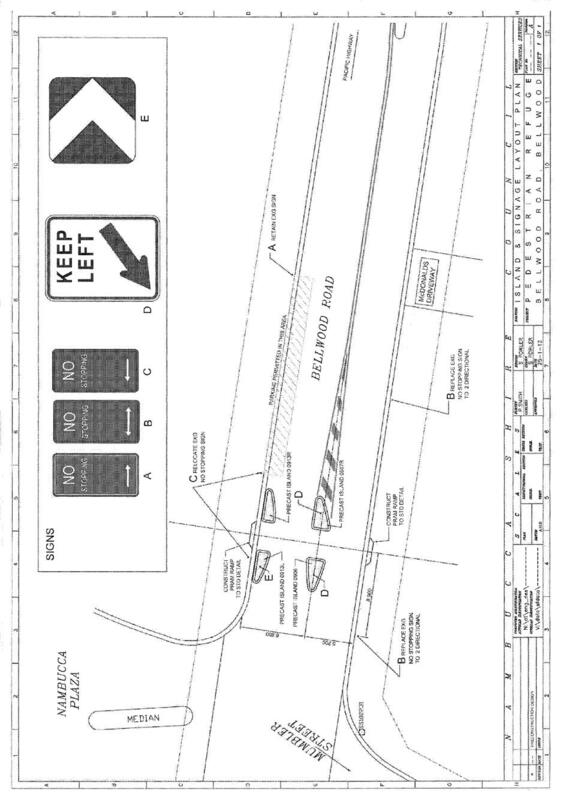 Traffic Management Plan confirming Accredited Traffic Controllers will be on site. 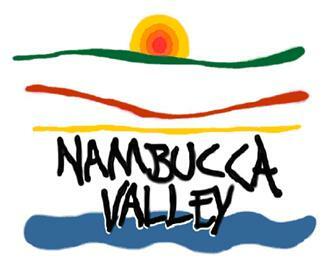 A community festival is being planned for Macksville showcasing the Nambucca Valley and the Nambucca River. 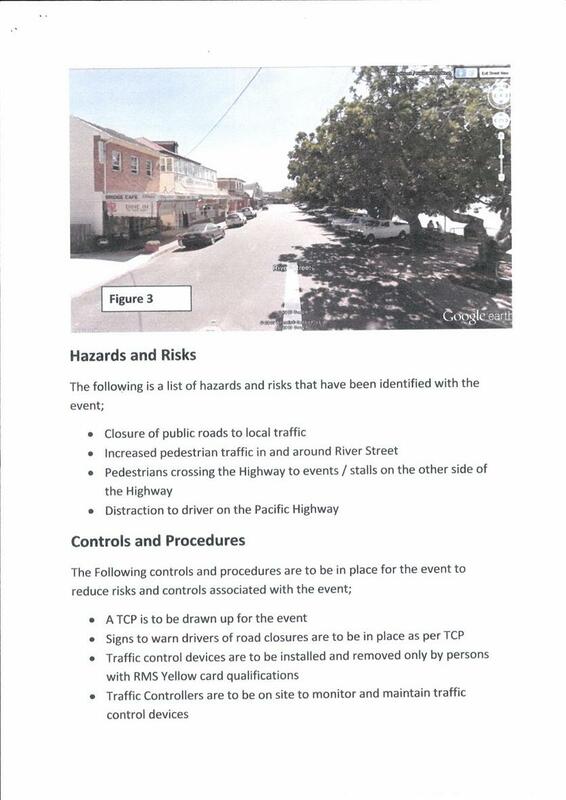 It is proposed to close River Street west and east of the Pacific Highway to enable activities and events to take place. The event will be held over two days, 30 November 2013 9.00am to 9.30pm and 1 December 2013 9.00am to 2.00pm. Road closures will be in place for the duration of the event plus time for establishment and dispersal.? It is expected the event will draw a crowd of approximately 2,000-3,000 people. Control:?????? TCP is provided advising of closures and Traffic Controllers will remain on site to monitor and maintain traffic control devices. Note:?????????? Additional advanced warning signs would be required advising the closure of River Street. ????? Pedestrians Crossing the Highway to events or stall on the other side of the road. Control:?????? A taped barrier is proposed to be placed both sides of the highway to ensure pedestrians only cross the highway at designated points. Note:?????????? A crowd barrier/fence together with say a 10m clear zone (clear of stalls and pedestrians) would provide greater protection to stray pedestrians. Control:?????? 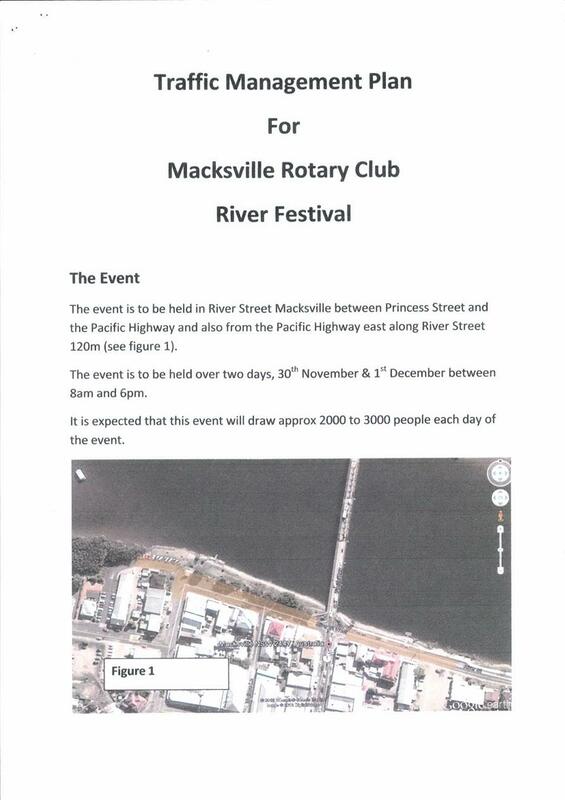 Members of the Nambucca and Macksville Rotary Club, Nambucca and Macksville SES will carry out crowd control. Persons with RMS yellow card qualifications will install and remove traffic control devices. No impact on the environment as volunteers will be collecting garbage. The event will bring a cross section of the community together. The event will contribute to the local economy. There is a risk of pedestrians attempting to cross the Pacific Highway at non designated points, pedestrian barriers would deter this manoeuvre. Council has received a request for the installation of speed humps in Willis Street, Macksville to encourage lower vehicular speeds particularly during sporting events at the adjacent playing fields. 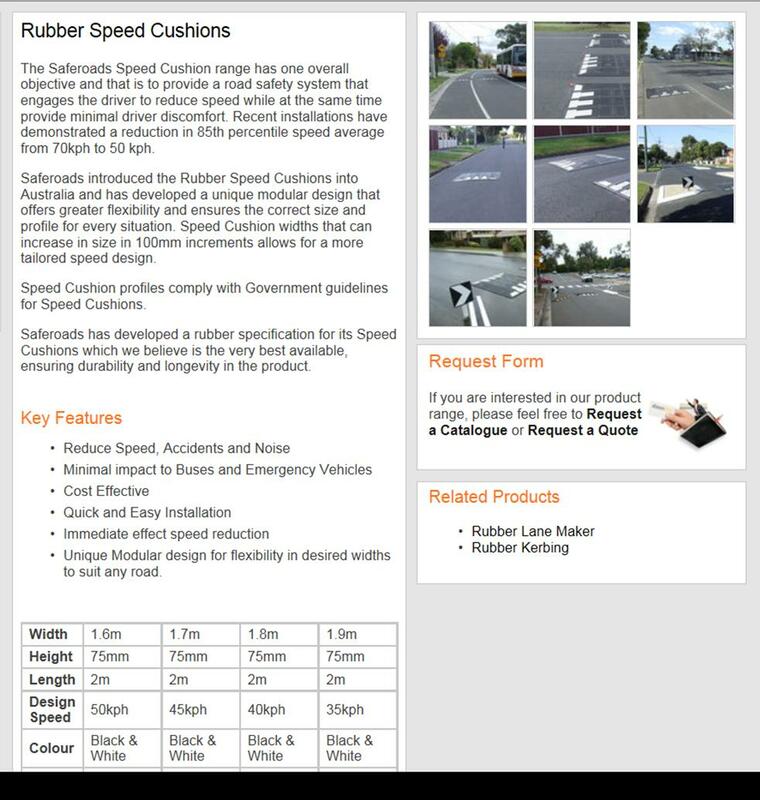 The Traffic Committee recommend Council allocate sufficient funds to install speed cushions with line marking guidance and complimentary warning signs to reduce vehicular speeds through Willis Street, Macksville. 1??????? Install a number speed humps. 2??????? Install a number of chicanes. 3??????? Install speed cushions with line marking guidance. Adjacent to Willis Street, Macksville are sports playing fields and netball courts that are patronised throughout the week and on weekends. A steady volume of local traffic and visitor traffic pass by the fields and the on street parking facilities. Local traffic volumes have also increased due to the proximity of the recently opened Woolworths supermarket complex. During Saturday mornings there is a steady increase in traffic volumes and a large number of pedestrians, primarily children, need to negotiate through traffic and parked cars to get to their target vehicle. Mr Summerville suggests the physical deterrent of speed humps ?have been used in high density areas and as this street becomes high density during most afternoons and on the weekend, it obviously requires equal attention.?? He is concerned there is a risk a of serious injury or fatality if nothing is done to reduce vehicular speeds. Willis Street is the sign posted heavy vehicle detour route and traffic calming measures will need to take heavy vehicle swept paths into account. Lower vehicle are socially more acceptable adjacent to high pedestrian areas. There is a very real risk of a pedestrian being seriously injured even if drivers abide by the speed limit.? The reaction time for drivers to avoid an accident is reduced due to poor sight distance of pedestrians entering the road between parked cars. The cost of installing traffic calming measures. Depends on the traffic calming method adopted, ranging from $1,000 (speed cushion) to $50,000 (chicanes). I am writing to raise a potential safety issue that involves the children of our community. The area of concern is in Willis St Macksville. Throughout the week there is a high volume of traffic that travels along Willis St; this is particularly increased during weekly sports activities which include netball and rugby league training. During Saturday mornings this high volume of traffic dramatically increases with an extreme number of pedestrians, which are primarily children. With parked cars along both sides of the road the crossing of the road becomes a high level hazard for pedestrians and road users alike. Being a local to this area I have been witness to many near accidents primarily involving children and vehicles. It is only a matter of time before there is a serious accident, which I am positive nobody would like to see. Although in recent times throughout NSW there has been a reduction of 10klms/hr in town speed limits, this alone, has not proven to be an effective solution to this problem. The addition of speed humps is essential to create a physical deterrent for vehicles to slow down and travel at a safe speed, and remind motorists to be aware of a high pedestrian zone. The physical deterrent of speed humps have been used in high density areas, and as this street becomes high density during most afternoons and on the weekend, it obviously requires equal attention. This issue was raised last week at the Nambucca Valley Netball Association meeting with overwhelming support. Thank you for taking the time to listen to the safety issues in this area, I am sure you will agree that pedestrian safety is of the highest priority when there is a risk a of serious injury or fatality. The life saved may be your child?s or your grandchild?s. I look forward to your prompt and positive action on this vital matter and anticipate a safer area for the future of our children. Your request will be added to the agenda for the next Local Traffic Committee meeting to be held at councils chambers Tuesday 6th August 2013, the local traffic committee will carry out an inspection and make recommendations for council consideration. The installation of Speed humps in residential areas is a method of speed control councils are moving away from due to unacceptable levels of noise generated by vehicles and trailers negotiating the humps, 24 hours per day 7 days a week. I can understand councils wanting to move away from speed humps due to the noise generated as you pointed out. The only point I'd like to make is that a lot of the traffic passing through Willis St, are not associated with user groups of the playing fields. Traffic pulls out of the Woolworths carpark and accelerate away at speed through this high pedestrian area without a care for the high activity that's happening at that time. Yes you would call this a police matter, but the police can't be there 24/7. And for this reason the issue has been raised to see what other strategies could be implemented. Council has received a request from the Nambucca Valley Orchid Society for parking improvements to provide safer access for their members to the Nambucca Heads Entertainment Centre. The Traffic Committee recommends Council modify the parking arrangements outside the Nambucca Heads Entertainment Centre to allow parking in the bus zone between the hours of 6.00pm to 6.00am and to change the parking signs accordingly. Since one of their members was assaulted and robbed outside the Nambucca Heads Entertainment Centre, on Monday 6 May 2013, members of the Nambucca Valley Orchid Society are feeling vulnerable and feel they could be potential victims. The Orchid Society has requested permission for their members to park in the courtyard of the Entertainment Centre for the transport of plants in relative safety. It should be noted members previously parked in the courtyard which prompted the previous Director of Engineering Services to write a letter to the Society reminding them the courtyard is intended to be a people friendly location linking the Entertainment Centre to the Library and is not intended as a car park. As the meetings are in the evening there is adequate on street parking outside the Library. ????? 14m Bus Parking Zone exists fronting the Entertainment Centre to the Post Office driveway (2 bays). A pedestrian crossing and No Stopping Zone to allow for 2 lanes of queuing traffic heading in different directions fronts the Post Office. There is scope to modify the bus zone to limit parking for buses only between the hours of 6am to 6pm, subject to there being no conflict with bus pickup and dropdown times and no objections from the bus companies. Busways have indicated their buses do not use the bus stop after 5.30pm. This will free 2 additional parking bays for the Orchid Society and other users of the Entertainment Centre in the evening. There is no risk to the environment. Being able to park closer to the entry to the Entertainment Centre is socially more acceptable given the advanced age of a number of its users. The Orchid Society feel there is a risk to their safety parking away from the vicinity of the Entertainment Centre. The cost of installing modified signs $200.00. Time associated with ordering and installing signs. 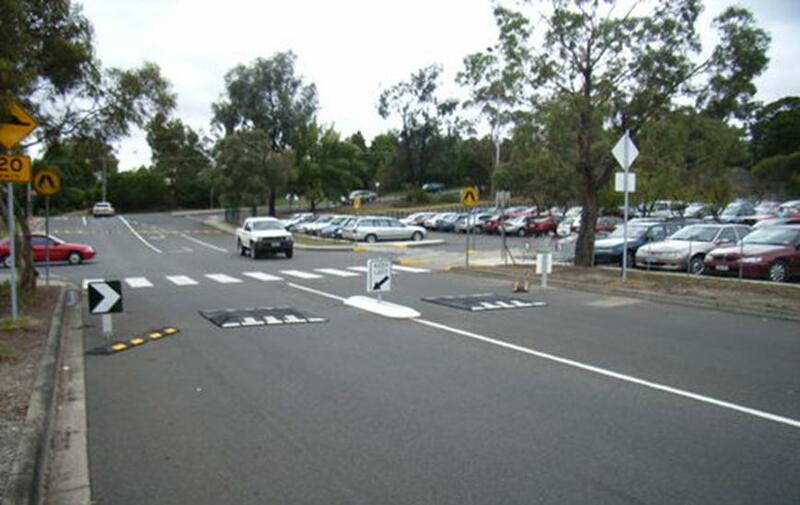 Council intends to install a pedestrian refuge island on Bellwood Road, Nambucca Heads immediately east of the Intersection with Mumbler Street and the entry to Nambucca Plaza. Due to requirements of No Stopping restrictions adjacent to pedestrian refuge Islands installation will result in the loss of approximately eight parking bays on Bellwood Road. That the Local Traffic Committee recommend Council install a pedestrian refuge island on Bellwood Road Nambucca Heads once funding has been secured from either the Roads and Maritime Services or Council through the working fund or Section 94a contributions. Crossing Bellwood Road is historically difficult for elderly residents living in the local area to the south of Nambucca Plaza shopping centre.? A refuge island is proposed to reduce the potential for vehicle/pedestrian incidents. The Nambucca Shire Access Committee has previously requested a refuge on Bellwood Road and are supportive of the proposal. A consequence of installing the refuge is a net loss of 8 car parking bays on Bellwood Road, 4 on the northern side and 4 on the southern side taking away all available parking between the Pacific Highway and Mumbler Street. Since the opening of the McDonald?s restaurant larger vehicles and vehicles with trailers have utilised the parking bays east of Mumbler Street as they are not allowed to enter the McDonald?s site. A sign does exist at the Mumbler Street intersection advising larger vehicles where to park. No Stopping restrictions will apply either side of the refuge island and through the adjacent intersection with Mumbler Street and the entry to the plaza.? Future traffic impacts to this section of Bellwood Road include a 320 lot subdivision at the end of Marshall Way, a shopping precinct west of Mumbler Street, and further commercial development along Mumbler Street.? Once one or more of these contributing impacts has been realised, a roundabout is planned for construction at the aforementioned intersection.? Timing and confirmation of these projects is unknown. The refuge island is designed to complement the proposed roundabout and can be easily removed if conflict occurs. Letters have been sent to McDonald?s Australia, Nambucca Plaza Body Corporate and the Nambucca Heads Chamber of Commerce advising them of the project.? At the time of writing this report, no submissions have been received. The impacts of pedestrian safety need to be balanced with the provision of on street parking in the recommendation to Council. If the refuge is not installed there is increased potential for a vehicular/pedestrian incident. $25,000 if supported by Council and other funding sources were not forthcoming. No impact if the project was funded by Roads and Maritime Services as implied during their the Aboriginal Road Safety Assessments of 2009. This would depend on funding requests. Survey and design has been completed, supervision of the project would need to take place ? 12 hours.